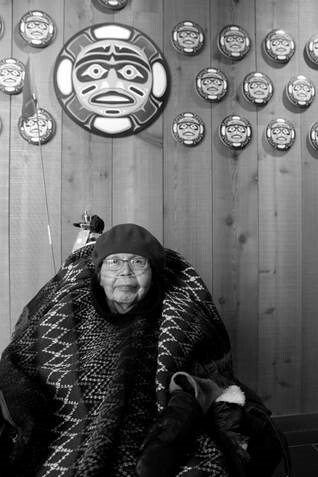 It is with great sadness that we announce the loss of our dear Sister Judi Johnny of the Gwa’Sala Nakwaxda’Xw First Nation. Judi was from the Port Alberni region and was born on November 2nd, 1949. 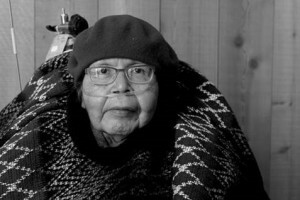 Her great spirit left her body on February 4, 2015 at 9 pm in Whitehorse, in the company of a friend. Judi Johnny was a lifelong advocate for the rights of people with disabilities in her community, but most especially for women. Judi first joined DAWN Canada’s Board in 1992. Women with Wings was a feminist disability collective which Judi founded in 1991 after she was inspired by attending a National meeting of DAWN Canada. 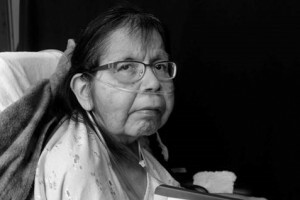 Although the group did not survive, Judi continued to advocate for full inclusion of people with disabilities in her community until her last breath. Judi was adamant that she and all her friends have access to restaurants, to stores, to public spaces and most especially was very passionate about wanting to see improvements to transportation for people with disabilities, including the adapted transportation system – she wanted equality, safety and full access for all her friends and she was never one to back down! Always quick with a laugh or smile – she also loved beautiful things and beautiful people!